The bankruptcy process is challenging for both debtors and creditors. You can count on us and our experience to craft creative solutions to your financial challenges. Here’s how we serve you best. We break down complicated bankruptcy situations and get to the core issues of your case while focusing on your financial objectives. This is the best way to help you to decide on the best go forward strategy for you individually or for your business. For individuals and businesses who seek an alternative to bankruptcy to resolve their debts, the Cosenza Law Firm also provides debt settlement services to help you reach your financial objectives. Entrepreneurs - profit from our experience to help you to profit from your business. There are a host of reasons why business partners running successful businesses may decide to break up or dissolve their business relationship. In some cases, the business partners may no longer share the same vision for the future of the business, they may experience a breakdown in trust, or the next generation may just not be quick to take hold of the corporate reigns. When these events occur, the Cosenza Law Firm is here to best help you through a smooth transition and resolution of business issues. To make the right decisions about your estate planning, we help you to understand what these estate planning tools can accomplish and how a custom combination of these tools can be used to devise your optimal overall estate plan. You've worked to plan and develop your professional life for yourself and your family. Now, let us work to plan and develop a strategy to help you preserve what you've built for yourself and your family. What are your financial needs? What are your financial goals? First, we learn about your personal and family financial needs of today, and what you can anticipate for tomorrow. Then, we create a tailor-made estate plan to help you make the most of what you have for when you and your family need it most. We can take them to the mat or get them to the table – your objectives drive how we customize our litigation strategy for you or your business. Question: What’s our litigation strategy to address the dispute you face? We fight for you based upon how we can best meet the goals you set for yourself or your business. 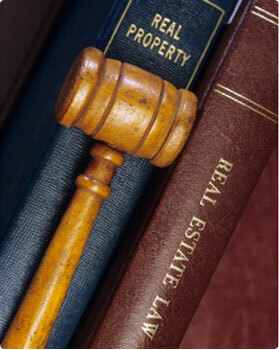 You can count on us at the Cosenza Law Firm for your residential or commercial real estate needs. Whether you're moving in or moving on to another home, count on us to help you make this smooth transition into a new life at a new location. We walk you from door to door, handling your deal from contract to closing for residential homes, condominiums, or co-ops. We handle acquisitions of commercial real estate properties. We also work with owners, tenants and subtenants to lease office, retail and loft space. 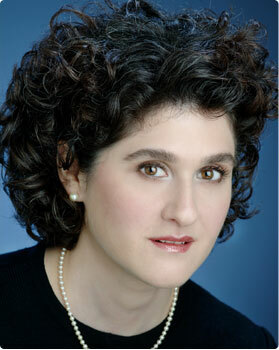 Michele Cosenza, who has been practicing law for over a decade, is uniquely experienced in economics, finance, and law, making her well-suited to tackle cases in a wide range of legal services including bankruptcy, corporate, litigation, real estate, and estate planning. Ms. Cosenza believes that in building her own practice and a legal team, she could be more effective in helping people deal with a variety of legal issues by providing individualized attention. The Cosenza Law Firm has allowed Ms. Cosenza to fully realize her passion for helping people to achieve their personal and professional goals. Ms. Cosenza co-authored educational materials for American Bankruptcy Institute 2008 Bankruptcy Views from the Bench on Liquidating Cases and Asset Disposition, Sales, Auctions, Appeals: “Chapter 11 Liquidation Cases: Selected Issues When Chapter 11 is the Beginning of the End” - September 12, 2008. WE WELCOME YOU TO ASK US A QUESTION ABOUT THE LEGAL ISSUE YOU FACE. PLEASE CALL US AT THE NUMBER BELOW OR USE THE FORM ON THE RIGHT TO EMAIL YOUR QUESTION TO US. In select jurisdictions, the website and its contents may be considered attorney advertising. Any statements on this website of prior results do not guarantee a similar outcome. All content on this website, including all third-party linked-to sites, are for informational purposes only and do not constitute or should be considered a source of legal advice for any purpose. All content on this website, including all third-party linked-to sites, are presented without any representation or warranty whatsoever, including as to the accuracy and completeness of the information. The Cosenza Law Firm PLLC assumes no liability or responsibility for any errors or omissions in the content of this website and reserves the right to alter the content of this website at any time. No user of this site should rely upon any of the contents or information at this website. Personal information you may provide to us through our website may be used by us to respond to your questions. However, no attorney-client relationship is created by any email or other communication sent to or received from The Cosenza Law Firm PLLC which is in any way connected to this website. An attorney-client relationship may be created between users of this website and The Cosenza Law Firm PLLC only by written retainer agreement signed by this firm.